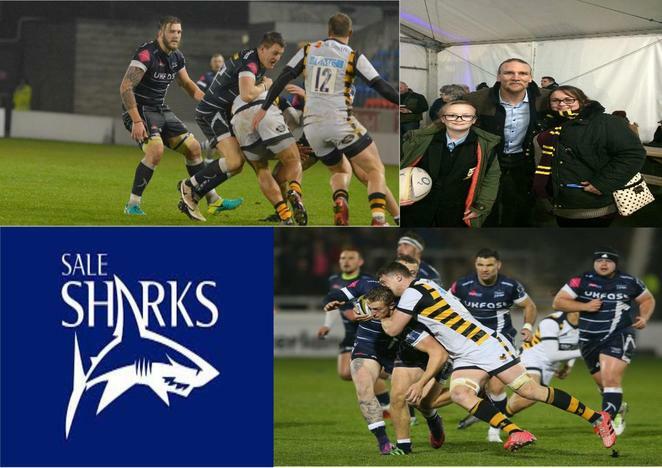 29 students and a number of staff attended the Sale Sharks v Wasps game in the Anglo Welsh Cup on Friday 4th November. We arrived promptly and so were able to enjoy the full match day experience with plenty of food being bought and opportunities to meet the players in "The Shark Tank" before the game. Sale won 17-13 with both sides using some of their fringe players to gain match experience and the students enjoyed the match with many attending their first game in a stadium, all saying how much they enjoyed the evening. Thanks to Sale for their hospitality and we look forward to attending future games at the AJ Bell Stadium.